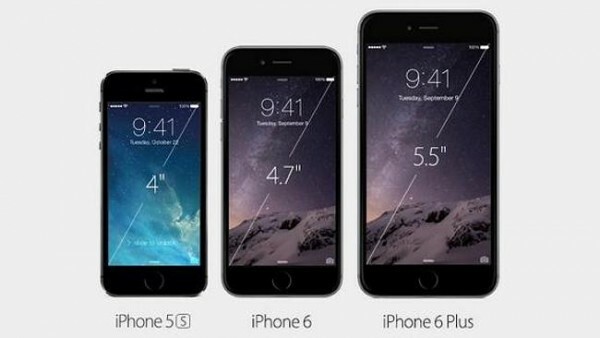 iPhone 6 is not just bigger , it is better in every way. Larger, yet dramatically thinner. More powerful, but remarkably power-efficient. 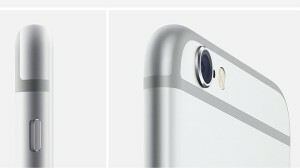 With a smooth metal surface which seamlessly meets the new Retina HD display. It is one continuous form where hardware and software function in perfect unison, creating a new generation of iPhone that is better by any measure. 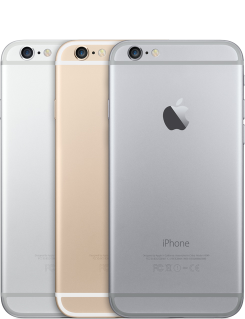 New phones from Apple landed this morning, and they’re coming straight to Australia. Here is what you will pay and when you can get your mitts on one. It is bigger, but not the biggest phone Apple is planning on selling in the new line-up. The iPhone 6 is a 4.7-inch iPhone with 38 per cent more pixels on the screen compared to the iPhone 5s. It is running the new Apple A8 processor, complete with the new M8 motion co-processor as well. From a straight spec comparison between chips, such as the Snapdragon 805 found in Samsung’s new Galaxy Note 4, the A8 may not seem like a big deal. The 805 is quad-core 2.7GHz SoC, but it’s important to remember that the A8 is a custom job, built and optimized specifically for Apple products and iOS, whereas Qualcomm creates stock chips for multiple smartphones. So what’s the iPhone 6 price? 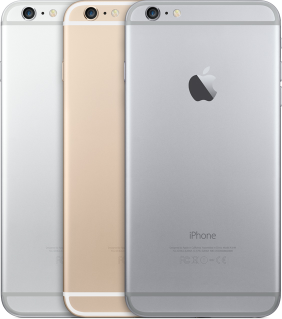 Well, Apple will be selling the iPhone 6 in gold, silver and space grey. Prices start at $869 for the 16GB model, $999 for the 64GB model and $1129 for the 128GB model. That 128GB model is a first for Apple, and it sees the company eliminate the 32GB tier altogether. You’ll be able to buy it on Friday, 19 September in Australia, and you can pre-order it from Friday, 12 September. The iPhone 6 Plus is the big daddy of iPhones in 2014-15. It’s 5.5-inches in size and is also powered by the new A8 processor. Both cameras have re-engineered sensors complete at 8-megapixels in size. 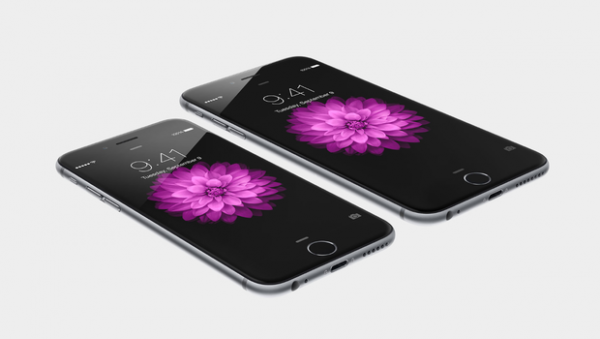 Naturally, the iPhone 6 Plus is more expensive than the iPhone 6. The iPhone 6 plus is also sold in gold, silver and space grey, and will start at $999 for the 16GB model, going up to $1129 for the 64GB model and $1249 for the new 128GB model. The larger phone will also go on sale on Friday, 19 September, with pre-orders opening this Friday. Here is all the key new features on each device. This is the obvious change, bumping up THE iPhone 5s’ 4-inch screen to 4.7 inches for the regular iPhone 6 and 5.5 inches for the iPhone 6 Plus. 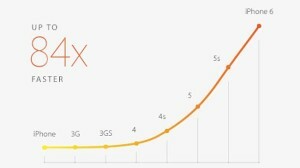 Apple says the new phones’ ‘Retina HD’ displays feature 32 per cent more pixels than the iPhone 5. Thanks to its screen size, the 6 Plus allows the home screen to be used in landscape mode and automatically puts apps in an ‘iPad’ mode — a true ‘phablet’. 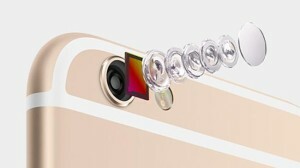 Both the iPhone 6 and 6 Plus boast an 8-megapixel camera. But do not be fooled to think it has not been improved, as resolution is just one tiny piece of the puzzle. Apple has focused it on better low light and clearer images. The 6 Plus has Optical Image Stablisation which helps reduce blur from movement, while both have a new ‘Focus Pixel’ sensor that allows for clearer, faster autofocus. Full HD video can now be taken at 60 frames per second, while new software features allow you to take timelapse videos, control exposure settings and take bigger and better panorama photos. Probably the second most requested feature after a bigger screen was improved battery life. 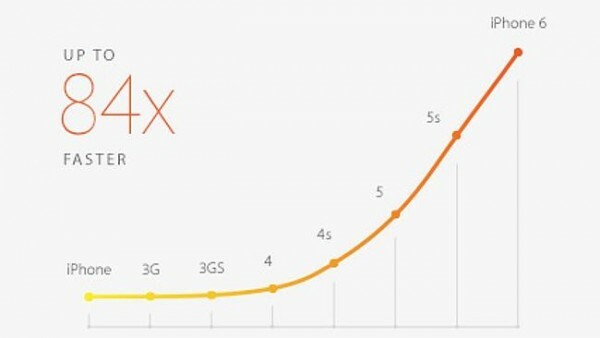 While we are yet to personally test the battery life on the new devices, Apple is reporting a significantly increased battery life for the 6 Plus over the 5s, and a modest increase from the 6. Standby time on the iPhone 6 Plus is 16 days and on the 6 it is 10 days, the same as the 5s. Internet use over Wi-Fi is 12 hours on the 6 Plus and 11 hours on the 6 compared to the 10 hours of the 5s. Slim and sleek. The protruding camera might be an issue for some though. Taller, wider, but incredibly thin. 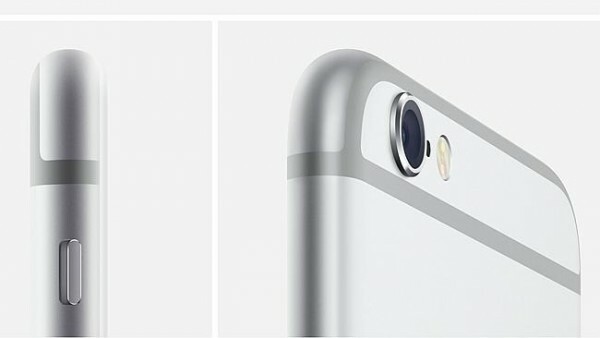 The iPhone 6 is only 6.9mm thick, while the 6 Plus is 7.1mm, compared to the iPhone 5’s 7.6mm. Both devices are made entirely of alumium, stainless steel and glass, with the front glass curving down the side of the device to meet up with the alumium rear for a seamless design. The camera protrudes slightly at the rear, something that has lately been common with phones as manufacturers try to achieve thinner designs while packing bigger camera sensors. The 6 Plus has its power button moved to the side, similar to larger Android devices, making it easier to turn the screen on and off without reaching for the top. Touch ID is back for both phones, but Apple has now opened up access to third party apps, meaning you will be logging in to more of your accounts with your fingertip very soon. Tap your finger and it’s paid for. As simple as that. Apple wants your iPhone to replace your wallet, and it plans to do this with Apple Pay. 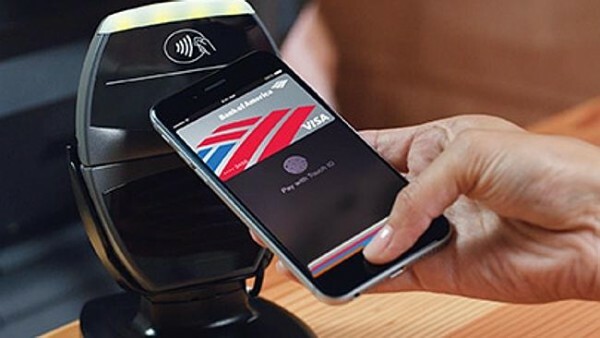 Working very similarly to Google Wallet, Apple Pay will store your credit card details and allow you to tap and pay using a new NFC chip (the same that’s in your credit card) and Touch ID verification. You’ll also be able to pay for online purchases with your stored credit card on supported shopping apps with just the one Touch ID finger tap. Unfortunately, this won’t be available to Australians at launch, but Apple has promised it will be rolling out in the near future. The bigger screen, combined with more powerful graphics will make a great mobile gaming device. The hardware in both iPhones has been beefed up, with Apple claiming 84-times improved graphical performance than the original iPhone. Apple also introduced Metal, a new feature which allows the processor and graphics chip to work together to bring graphics closer to console quality than ever. The new M8 motion chip now includes a barometer to measure air pressure. This means that not only can it track your steps, but it also knows when you are walking up a hill or stairs, giving you a more accurate representation of the amount of exercise you have done. While iOS 8 was actually announced earlier this year, it will be officially released on older devices on September 17 and come as standard on the iPhone 6 and iPhone 6 Plus. Improvements come in iMessage, Siri and the ability to interact with your phone on your Mac. There’s nothing truly groundbreaking in the update, but it is a solid improvement on last years big redesign. The device will be on sale from next Friday, September 19 at Apple stores and from Telstra, Vodafone and Optus, with pre-orders from this Friday. Telstra has also already opened up a page for customers to pre-register their interest in the devices. Both devices will support the new 700 MHz 4G bands that will soon be offered by Aussie telcos, giving better reception and data speeds.